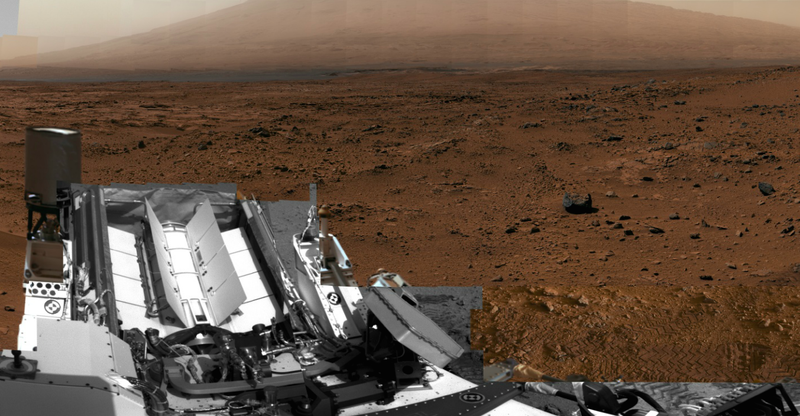 We tried NASA’s brand new 360 degree Mars panoramic viewer for your phone, and we think it’s about as good a Mars view as you’re going to get right now, lacking a spaceship. Test it out for yourself below. NASA’s new tool for your phone lets you see on screen—whether above you, below you, or all around you to the sides—what you would be seeing if you really were seated up on the red planet, taking it all in. Of course, you’re still staring at your phone screen, and swiveling it around by hand, and you’re stuck in a fixed point. You can’t walk up a hill, for instance, and see what’s on the other side, so the experience—while very cool—is certainly not seamless. But NASA told Gizmodo that they’re in the middle of working on something much more elaborate: A complete virtual reality Mars simulator, which they’ll be releasing to the public this summer.